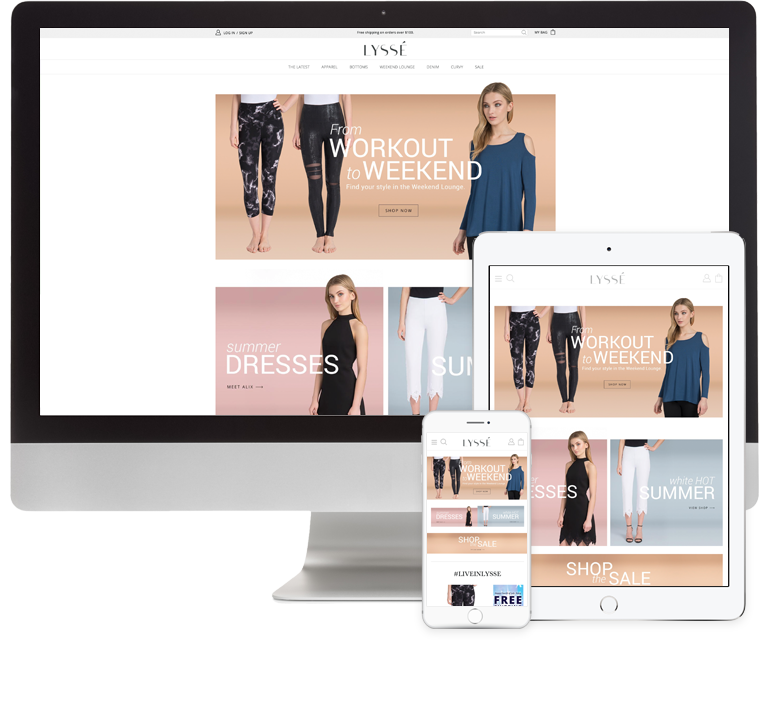 Lyssé had an issue integrating fulfillment and their site which hamstrung them - this kept Lyssé from allowing their ecommerce to move further toward automation. Though their site was running well on Drupal 7, Lyssé’s site managers were not fully familiar with the stock Drupal administrative back-end. This posed challenges for the curation of the Lyssé homepage. Despite running on an up-to-date version of Drupal, their homepage suffered because of its non-mobile-friendly nature and failure to route consumers to certain sections of the site. This, coupled with Lyssé’s inability to easily swap out images, text and blocks that highlighted weekly/special occasion sales, hampered growth - Lyssé was doing well, but knew they could be doing better. Choosing to do away with the Blue Cherry API project, Lyssé instead opted for an approach with fewer changes to the site's core functionality. This way forward felt most comfortable for all parties. Lyssé feared implementing new, custom code could break the Lyssé site - ecommerce being mission critical, the site being down would be a blow to the company. Over Lyssé’s and DrupalConnect’s year-long partnership, DrupalConnect has solved over 130 issues surrounding barriers to purchase, issues in distribution - core/module updates, fraudulent order investigation and mitigation, commerce tracking errors, shipping address faults, coupon editing/adding, checkout and cart issues, XML feed updates, inventory/site rendering, payment issues, and trouble with Google Analytics, just to name a few. Drupal Connect's goal was to build something for Lyssé to allow site managers to take back control of the brand and content, while optimizing backend workflows - and we succeeded.